The Batwa are a pygmy tribe located in the southwest corner of Uganda. They are conservation refugees who were evicted from their rain forest home so that the Bwindi Impenetrable Rain Forest could be made into a World Heritage Site to protect the 350 endangered mountain gorillas. The land they moved to was without a forest and was foreign to them. As one of the oldest documented tribes in Africa, thousands of years of living as the "Keepers of the Forest" changed to becoming "land squatters" and "living scarecrows". The Batwa have been held under captivity of both being separated from God and as conservation refugees. The struggle has been real. The hope is that through being the hands and feet of Jesus, Hope Ministries Uganda will help free the Batwa from captivity and they will discover a relationship with the living God. They will no longer be called unworthy. They have a new name and a new life. God is not done with them. Who Will Rise Up was written by music artist Hannah Marie (who was 17 years old at the time of writing the song) and it is from her new album Rise (to be released fall 2016). The song was written as a challenge to rise up and be love for the Batwa tribe in south west Uganda. Hannah has grown to love the Batwa children and her heart pours out with both passion and compassion for the future of these children. We have an urgent need to build a new dormitory. The space that we currently have is too small for the number of children that we are housing. We ask that you prayerfully consider helping us meet this need. The goal is $30,000. It sounds like a huge number, however, if 500 people rise up and donate $60, we will meet this goal! This dormitory will be built on our property that we own. Once we move our children to the Land of Living Hope, this dormitory will be turned into a pregnancy care center and birthing center for our women as well as a home for teenage pregnant mothers. Dormitory Plans for our Seeds of Hope Boys. Joachim is only 8 years old and he is fighting for his life. To learn more about Joachim’s story, please click on the link below. He needs prayers, funding for treatment, and people to be a voice for the voiceless. I will give thanks to the LORD with all my heart: I will tell of all Your wonders. Since our first visit in May, 2015, the Lord has been working mightily within Hope Ministries Uganda and Pastor Tugume Gerald. Here are just a few highlights. Rubuguri House of Living Hope Children's Home was completed in July 2015. Nyanamo House of Living Hope Children's Home was opened in April 2017. Feeding programs for disadvantaged children and nursing moms have been supported monthly since June 2015. Meetings with local government officials to address needs of Batwa. Piped water at the Rubuguri House of Living Hope Children's Home. Purity teachings for the youth to help in staying pure and for the prevention of spreading sexually transmitted diseases and pregnancy. Land of Living Hope purchased for future Children's Village, School, Medical Clinic and Church. The mountain gorillas were placed above the people group. The Batwa, one of the oldest documented African tribes, were forced out of their home in the Bwindi Impenetrable Rain Forest. They are now conservation refuges. No land. No home. No citizenship to any country. They are treated as animals. They are despised by local tribes and highly discriminated against. 38% of Batwa children will die before the age of five because of lack of basic health care for simple sicknesses and diseases, malnourishment, lack of clean water and basic sanitation, and lack of proper living shelters. Hope Ministries Uganda is helping to change those odds. Hope Ministries Uganda is providing homes, meals, health care, and education to over 200 Batwa children who would other wise be living on the streets treated as animals, left to die. Hope is rising up. The purpose of Hope Ministries Uganda is to proclaim and demonstrate the life-changing Gospel of Jesus Christ, meeting the spiritual, physical and emotional needs of men, women, and children who are homeless or in need of hope, specifically within the Batwa tribe in south west Uganda, DRC, Rwanda and Tanzania. 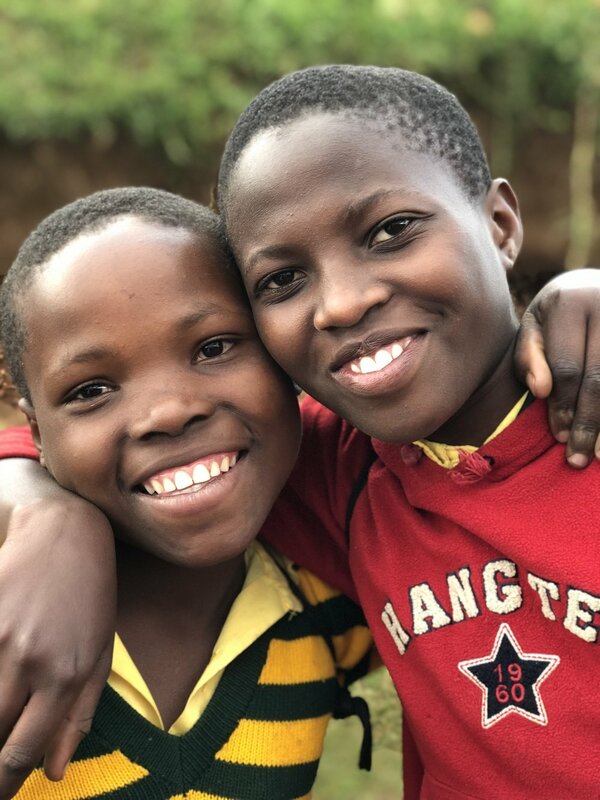 Our vision is to bring lasting hope to HIV/AIDS orphans and pygmies by providing the most comprehensive holistic programs and services for men, women and children in need. We seek to build the Kingdom of God by helping the individual and families we serve in rural South West Uganda, Africa by helping them to find a living relationship with God in Jesus Christ. We are expanding our territories as God leads into DRC, Rwanda, and Tanzania. We currently have two Seeds of Hope Campuses: Rubuguri and Nyanamo. 207 children live on these two campuses which are divided up into younger children and older children. Each home is staffed with matrons (or house mothers), security guards, cooks, and teaching staff. The children receive three meals a day, basic health care, clothing, and their education through our Seeds of Hope Schools. $40 a month helps to support a child through our feeding program, health care program and education program. Sign up today to make a difference in our Seeds of Hope Children. We currently have churches located in Nyanamo, Mukungu, Kasovu, and Rubuguri. We also have various church partnerships. Our focus is on furthering the great commission by building the Kingdom of God. God has blessed the Batwa tribe with many gifts. We have started several craft cooperatives which include: Basket Weaving, Jewelry Making, Sewing, and Wood Crafts. Our goal is to help these craft cooperatives to work together to open small businesses and to sell their crafts within their communities, to tourist, and within the United States through our online store. We have started several demonstration farms where we are training both the children and adults. These farms include vegetable gardens, goats, chickens and rabbits. The goal is to teach farming techniques to help our Seeds of Hope Children's Homes to become self-sustainable with food. We are also working within the local Batwa communities to help purchase land so that they can also learn these skills and be able to use this not only to feed their families but also to use as a source of income. We have two Seeds of Hope Schools. Seeds of Hope Rubuguri is our junior school . It is composed of the nursery section from baby class to top class. Seeds of Hope Nyanamo is our primary school holding classes for primary one to primary five. Seeds of Hope Vocational School is also located on our Nyanamo campus. Currently our vocational school is teaching classes on tailoring (sewing), salon, and home management. The Land of Living Hope was purchased in 2016. It is 33 acres of land that is located in the Kanungu District in South West Uganda near by the Queen Elizabeth National Park. This land is very fertile and flat which will make it good for growing gardens and construction. The purpose of this land is to build The Living Hope Children's Village, Discovery Living Hope Church and Multipurpose Building, Living Hope Schools, Demonstration Farm and Living Hope Medical Center. In November 2017, Hope Ministries Uganda partnered with Beautiful Feet International to open up Masiiko Pregnancy Care Center in Nyanamo. It is the first pregnancy care center in this area. The pregnancy care center will be a huge outreach in this local community and also for surrounding communities as there is no pre or post natal support for these communities. Clean water is an issue in this small corner of the world. Most people have to travel great distances to go to rivers and lakes that are dirty and shared with animals. Both people and animals use these rivers and lakes for drinking, but also for bathing, toilets, washing clothes, and swimming. Hope Ministries Uganda has partnered with Wine to Water to help bring Sawyer Water Filtration Systems to these communities and to educate the people on the importance of clean water and sanitation. Find out more information on how you can get involved in specific programs through donating financially or serving within a certain program. Group Mission Trips for your church or if you do not have a group to sign up with you can sign up to go with one of our open groups. Give online or write a check. Hope Ministries Uganda USA is a registered 501 (C) (3) Non Profit Organization. All donations are tax deductible.